Seemed like a good day for an old favorite. Read it aloud and savor Hopkins' rich words. Next time we gather, it will be 2019, so early best wishes for a new year full of dappled things and the embrace of change. Next time we gather, I'll have the 2018 Poetry Friday Roundups archived at Kidlitosphere Central and the first half of 2019 ready to go. Until then, Donna has today's roundup at Mainely Write. I've received three (edited to add one more) thoughtful (thought-full) poetry gifts in the past week. 1. I wrote this haiku for #haikuforhope, and Amy Ludwig VanDerwater wrote a response haiku that helped me get my head on straight for the day. Thank you, Amy! will my new teacher be kind? 2. Steve Peterson tweeted me this poem, proving for good that proximity of geography is not required for a friend to know the nooks and crannies of your heart. Thank you, Steve! 3. A childhood friend I haven't seen for decades (along with geography, add time to the equation of friendship) tagged me with this article on Facebook: Why Reading Poetry Is Good For Your Brain. Some of the studies are a bit dubious, but none of us are going to argue with the conclusions, right? 4. How could I not celebrate YOU?!? This community of poet-teacher-writer-allaroundgreathumans feeds my soul. Special wink and nod to the #haikuforhope crew. It's been a wonder-full month. As always, I won't want to stop. Daily writing in a form brief enough to keep me writing daily...yeah, I'll probably keep going. Happy Poetry Friday! Buffy Silverman has the Full Moon/Solstice edition this week. Poetry Friday -- A Visit From Poets! My class was lucky enough today to visit with Irene Latham and Charles Waters via Zoom! What a generous gift of time for Irene and Charles to answer the students' questions. Last Friday, I reviewed Can I Touch Your Hair in an initial post about the conversations we've had around race in my classroom so far this year. This week, I added more thinking about our conversations. 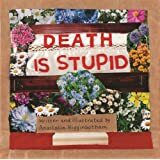 Laura Shovan has the Poetry Friday roundup this week. 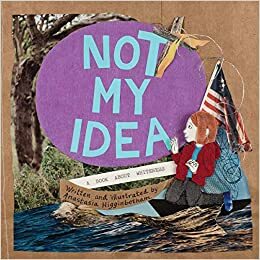 Last summer, I received a review copy of Not My Idea: A Book About Whiteness by Anastasia Higginbotham, so I checked out all of her books from the library. Her writing taught me so much about how to have honest conversations with children about tough topics. Who knew how calm and straightforward I would manage to be when I overheard a student defending transgender people. I joined the conversation and affirmed that there was nothing "weird" about transgender people. When asked, "What is transgender anyway?" 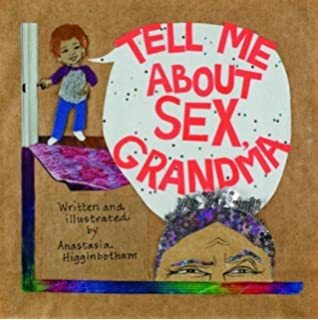 I was ready, thanks to Higginbotham, to talk about the genders we are assigned at birth -- the genders that others can see -- and the true gender we feel within us, and how transgender people experience themselves as a gender they weren't assigned at birth. Transgender people may or may not choose to change their appearance to match the gender they experience. The student who asked for more information said, "Oh. That's all it is? That's not weird." Success. I listened to So You Want to Talk About Race by Ijeoma Oluo. Oluo taught me more about my whiteness and my place in our white supremacist society than anything I've previously read. She showed me how wrong I was a couple of years ago when I was so outraged that a parent thought I was racist. If that parent thought I was racist, I was. I cannot deny her lived experience with my behavior. If I could go back, I would approach that parent with honesty and humility to learn what I had done so I could change my behavior. 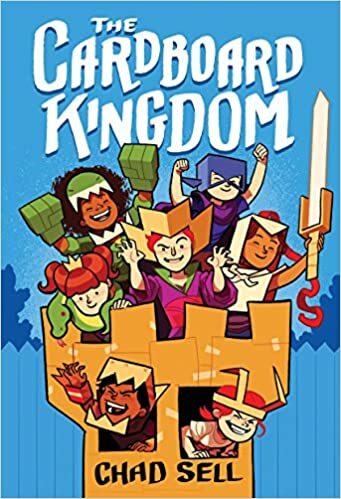 Our first read aloud, The Cardboard Kingdom, gave us characters who were gender fluid in their imaginary play, bullies with back stories, a diverse mix of races and cultures and families. I projected this graphic novel via Kindle on the Smartboard. Our conversations about each of the short stories and about the characters were rich. 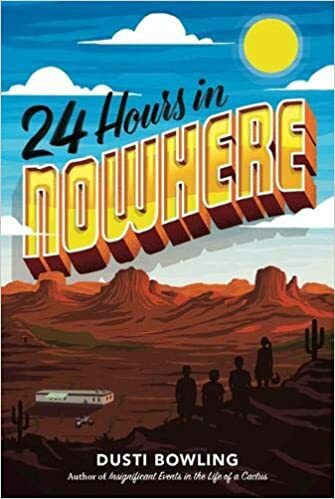 Our next read aloud was 24 Hours in Nowhere by Dusti Bowling. This book opens with a racist bully pushing Gus' face into a cholla cactus. Rossi, a Tohono O’odham Nation girl, rescues him by giving her beloved dirt bike to the bully. From the Amazon blurb, "Conversations among the young teens reveal Gus’s burgeoning awareness of his white privilege as he listens to the experiences of his Latinx and Native American friends." We had amazing conversations about the stereotypes that were revealed and deconstructed over the course of this story. The only thing about this story that was perhaps lost on my urban/suburban students was the level of poverty of the characters. I don't think my students have ever seen, let alone been in, a trailer home! When October 8 rolled around, we were in the perfect place in our study of the indigenous cultures of Latin America (and in our conversations with 24 Hours in Nowhere) to talk about why that day is simultaneously Columbus Day and Indigenous Peoples Day. We could talk about perspective and about who gets to tell the dominant story of history. I hope my students began to learn that they need to seek out alternative perspectives on historical events and to always consider which voices are dominating the popular narrative and which voices are being left out or silenced. If you remember from my previous post about conversations around race, I have a unique place in my classroom. Along with myself, four of my twenty-six students are white. The rest of the class is Middle Eastern, Latinx, African, African American, or Chinese. When I speak to my class about race, I must always be aware that I'm speaking from behind white skin to mostly people of color. My skin represents the dominance and power in our society. There was an incident in class that might shed light on this dynamic, if I'm reading it correctly. I was pushing a heavy table and someone commented that I was Hulk. A child said I couldn't be Hulk because I wasn't green. Another child said I was the White Hulk, and this was met with, "Oooohhh!" That child had clearly stepped out of bounds by identifying me as white. I was puzzled. I said, "What's the big deal? I AM white!" I reminded them that one particular student was never afraid to identify himself as black and talk about his beautiful dark skin. Another talked about his African father. Why was it a big deal to talk about my whiteness? They got more and more uncomfortable, with several asking, "Can we please talk about something else?" This was an eye-opener. But instead of keeping me quiet on race, I was more determined than ever to have these conversations. I read and re-read Not My Idea in preparation for reading it (and Can I Touch Your Hair) aloud to my students. 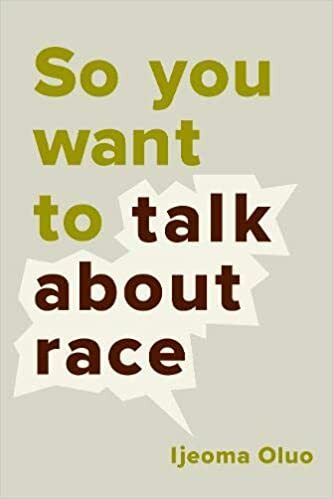 Even though we had had what I thought were conversations about race, that surprising response to the direct naming of my whiteness made me nervous to read this book aloud. I focused on the ending, where Higginbotham reminds whites that we have a choice about the kind of white person we will be. Whites can sign on to historic whiteness that uses race to keep people of color down or whites can move forward with justice in our hearts and be the kind of white that works for equality and truth. Hopefully, Not My Idea will help my white students start to understand and grapple with white privilege, while helping my students of color to realize that there are all different kinds of white people. And although the current narrative in our society presents white supremacy as the norm, we can ALL tell a new story about race, a story that begins in our classrooms with honest conversations, a willingness to make mistakes but then own them, and the desire to move forward to a truly inclusive society. We finished reading aloud Can I Touch Your Hair? yesterday. It was not the first book I've read aloud this year that gave us the opportunity to talk about race. Our conversations started with The Cardboard Kingdom, and continued with 24 Hours in Nowhere and Not My Idea: A Book About Whiteness (a book which made NPR's list of Best Books of 2018!). I'll write about the whole journey in a separate post. Just remember, we had had growing and ongoing conversations about race before we got to this book. Also, a note about the demographics of my classroom. Along with myself, four of my twenty-six students are white. The rest of the class is Middle Eastern, Latinx, African, African American, or Chinese. This is just to say that your conversations would certainly be very different than those in our classroom. When I write that other post about our journey in talking about race, I'll dig into the dynamics of teacher/student race. 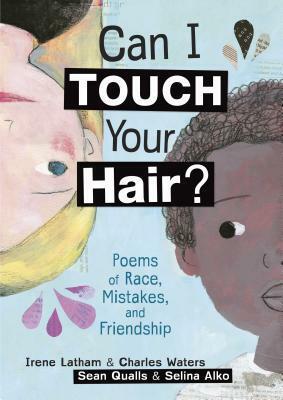 Can I Touch Your Hair: Poems of Race, Mistakes, and Friendship. The power of this book lies within each word of the title. Poems. There will be small packages of text that will allow the reader to stop, ponder, and discuss. Race. Get ready, because you are going to explore some hard topics here. Mistakes. If you're going to talk about race, you're bound to make mistakes. But making honest mistakes is a far better path than averting our eyes and not talking about it at all. (If you haven't read So You Want to Talk About Race by Ijeoma Oluo, I highly recommend it.) When you know better, you can do better the next time. Friendship. The book's characters, Irene and Charles, begin by only seeing each other skin deep. As they get to know each other, they find they have so many more important things in common that race (and even gender) becomes insignificant. What a powerful message for children (adults, too!!) to hear over and over again. It's the danger of a single story. If we're going to move forward as a human race, we've got to stop seeing each other as just this or that. We have to get to know each other as complicated, diverse, interesting individuals! As I said, the pairs of poems are the perfect amount of text to read, then pause for conversation. As we read along, we talked about the topics that came up -- shoes, hair, church. But when one of the students prefaced his comment with, "In movies they make the black people the athletes," I had the perfect way to move the conversation to a safer place by talking about the stereotypes that are perpetuated by the media. It's not that black people ARE the athletes, it's that "they make" the black people the athletes. Everyone had LOTS to say about stereotypes around race, gender, and age! We ended that rich conversation by sharing times when we "broke" a stereotype. 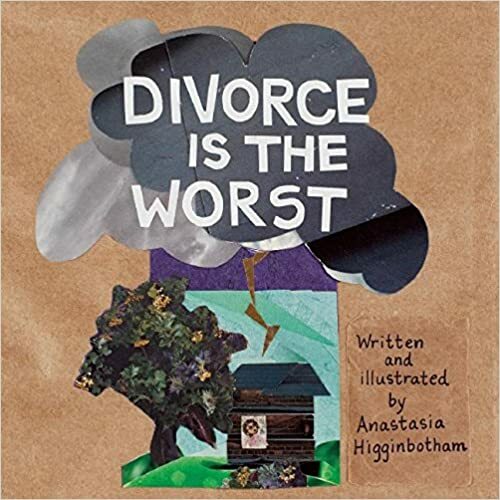 I highly recommend reading this book with children. I highly recommend making this book one part of an ongoing conversation about race. 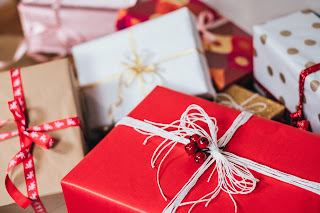 Thank you to all who signed up to be Poetry Friday roundup hosts in January-June 2019. We filled the schedule in under one week! Liz has the Poetry Friday roundup this week at Elizabeth Steinglass.